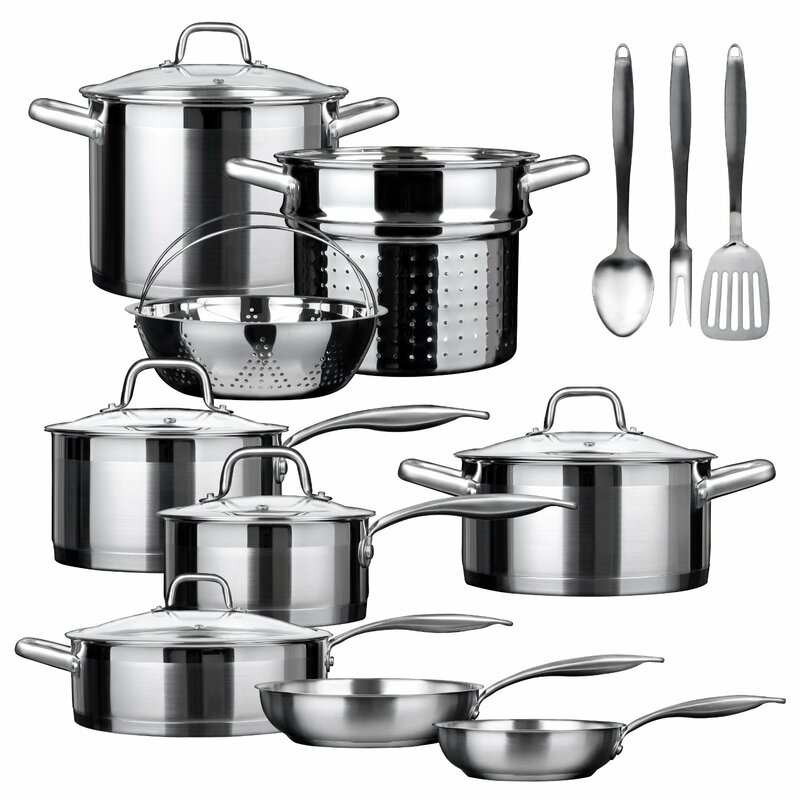 Includes 8 and 10-inch fry pans; 1.6-quart, 2.5-quart sauce pans with lids; 4.2-quart casserole with lid; 8.6-quart stock pot with lid; 5.5-quart sauté pan with helper handle and lid; boiler basket and steamer basket; 3pcs kitchen tools including spoon, slotted turner 2-prong fork. Constructed with 18/10 commercial grade stainless steel, heavy gauge impact-bonded aluminum encapsulated bottom, build to last a lifetime. 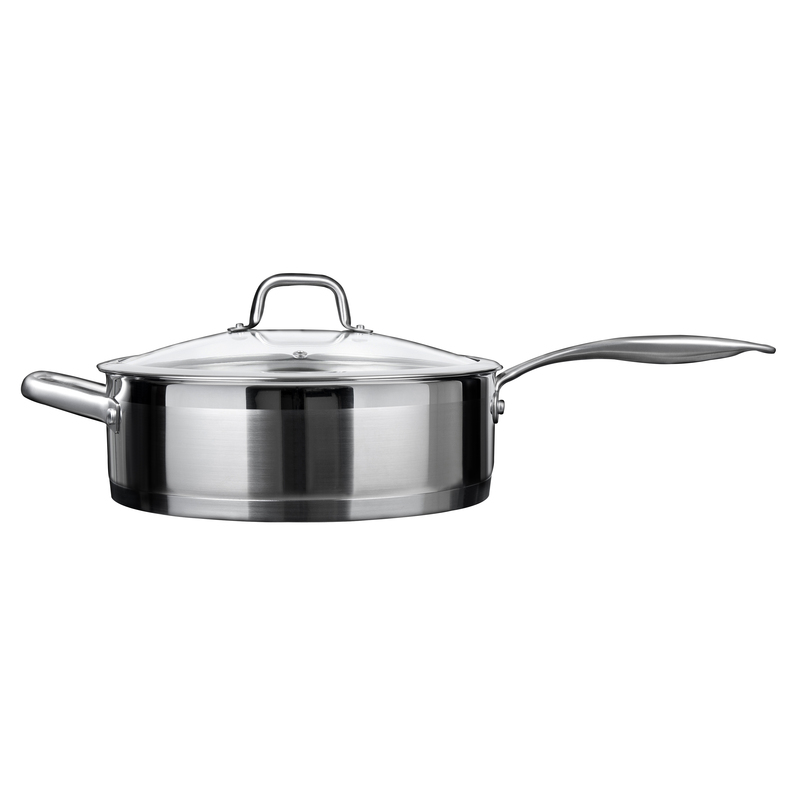 Ergonomically shaped handle with anti-slippery satin finish, handle is riveted to pan to provide durability. Suitable for all cooking sources, electric, gas, infrared, induction stove or glass and ceramic cooktop.